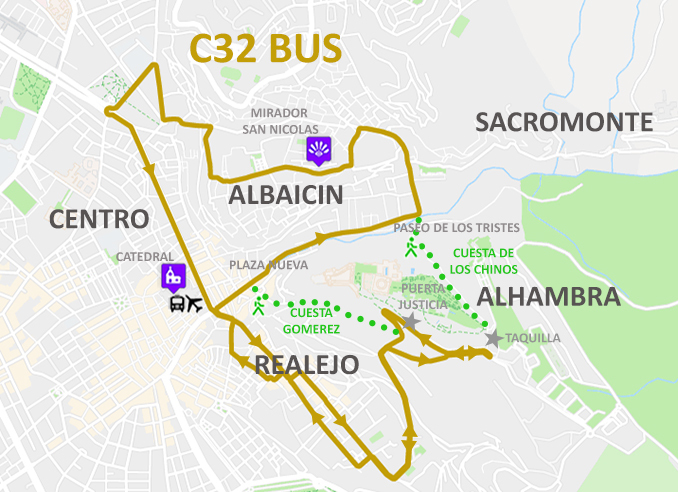 If you are reasonably fit, you don't need to catch a bus to the Alhambra. 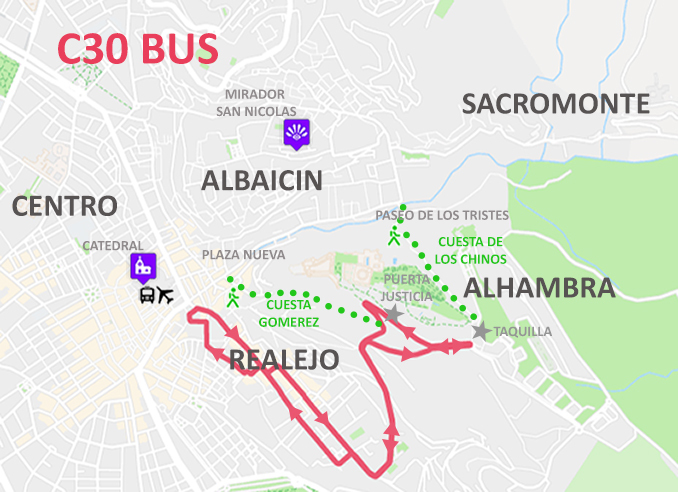 You can walk up the Cuesta Gomérez or the Cuesta de los Chinos. 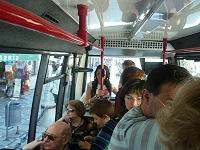 It takes about 15-20 minutes and is uphill. 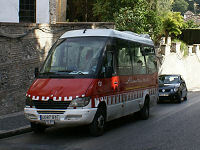 This is the best bus to go to the Alhambra (Gran Vía - Alhambra - Plaza Nueva - Albaicín - Gran Vía). 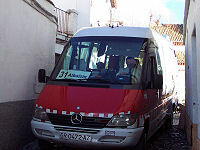 This bus goes to the Alhambra from Plaza Isabel la Católica. 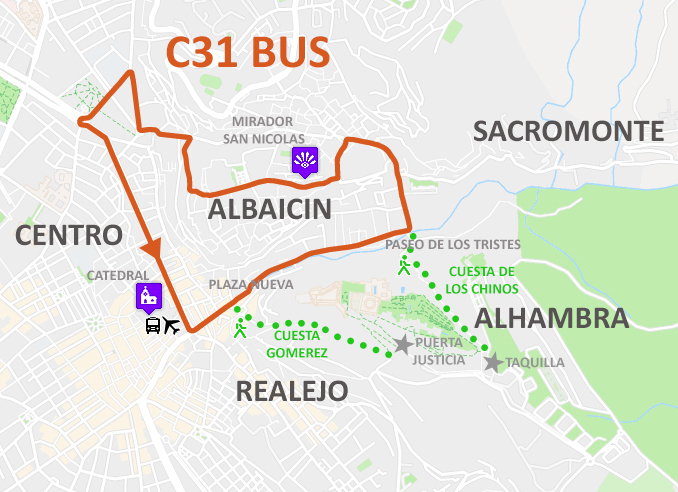 This bus does not go to the Alhambra but it goes to may interesting places such as Mirador de San Nicolas, Paseo de los Tristes, Sacromonte, Plaza Nueva, the Albaicin. 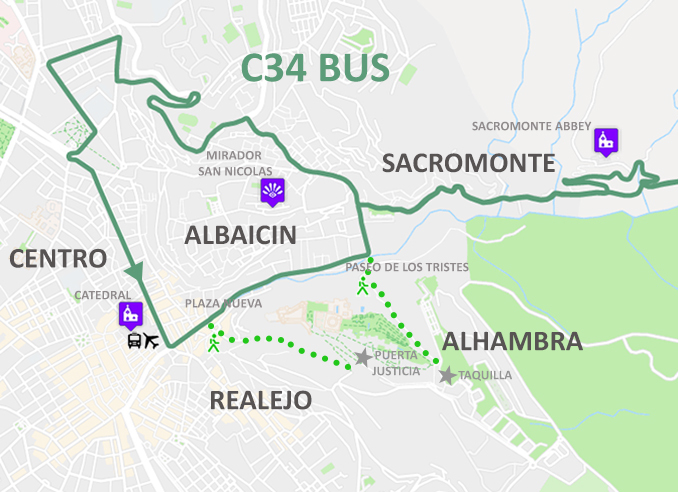 The C34 is similar to the C31 but also goes to the Sacromonte.